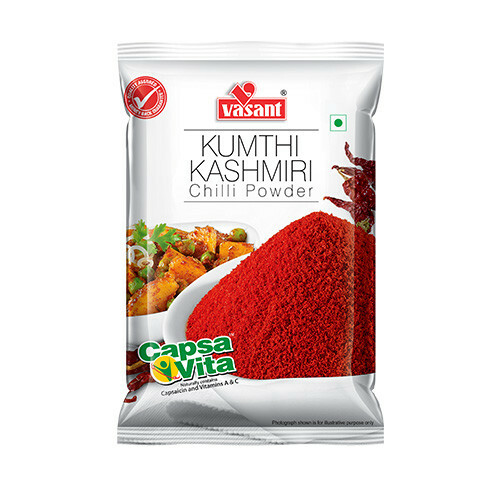 Vasant Masala presents turmeric in its most natural and purest form – Vasant Natural Turmeric Powder. 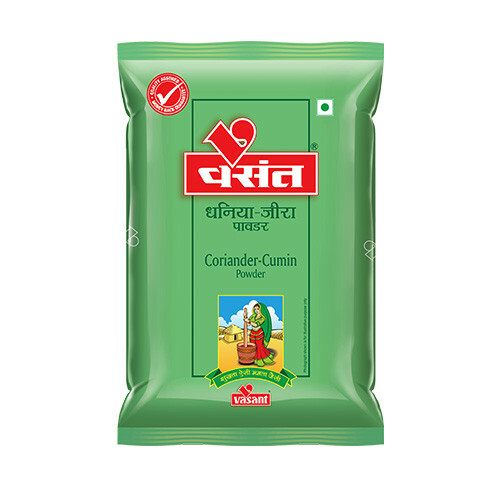 It is the best quality turmeric used in many Indian kitchens. 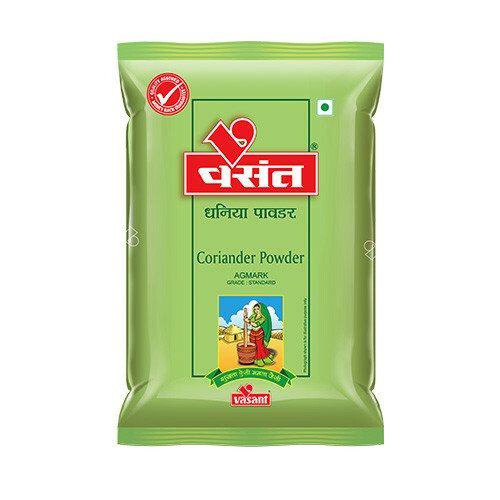 When Vasant Natural Turmeric Powder is mixed with fresh milk cream and is applied on face, it removes dryness and leaves the skin soft and glowing. A few drops of fresh lime mixed with a tsp. of turmeric powder, when applied on face, reduces blemishes. A few drops of un-boiled/fresh milk mixed with a tsp. of turmeric, when applied on hands and legs, leaves the skin soft and smooth. Turmeric also helps in reducing pain in the eyes. Put a pinch of turmeric in fresh water and mix well. Take a clean and soft cloth. Dip it in the mixture and dab it on the lids of the eyes to reduce pain. To make the gums and teeth strong, brush them with a mixture of turmeric and mustard oil. Mix of turmeric and coconut oil, when applied on affected areas, reduces itching and shingles. To get instant relief from pain in swollen or sprained areas, apply turmeric mixed with lime (Chuna). Drink milk mixed with a pinch of turmeric to purify blood and relieve any kind of internal pain. Apply turmeric on the injured area to instantly stop blood flow. Applying turmeric on wounded area gives faster relief from pain. Everyday take a tbsp. of honey mixed with turmeric to prevent diabetes. Regular intake of turmeric keeps the body fat under control. Curcumin is one of the active 24 beneficial compounds found in turmeric/ haldi. Turmeric has curcumin which gives it natural colour. 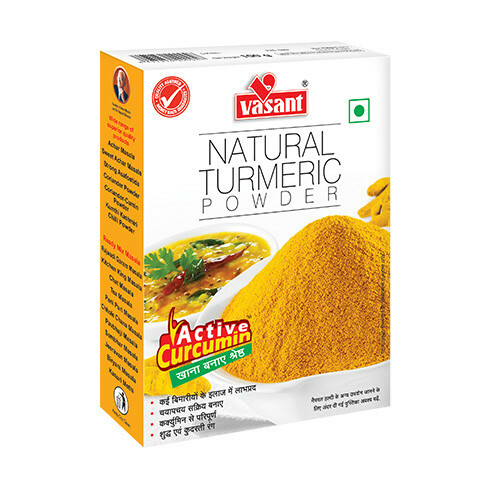 Vasant Natural Turmeric Powder can be consumed for therapeutic cure of ailments like wounds, pain, stomach disorder, diabetes and other such chronic illnesses; when prescribed by doctors. Beauty: A paste of turmeric and milk cream when applied on dry skin makes it soft and supple, giving the face a radiant glow. 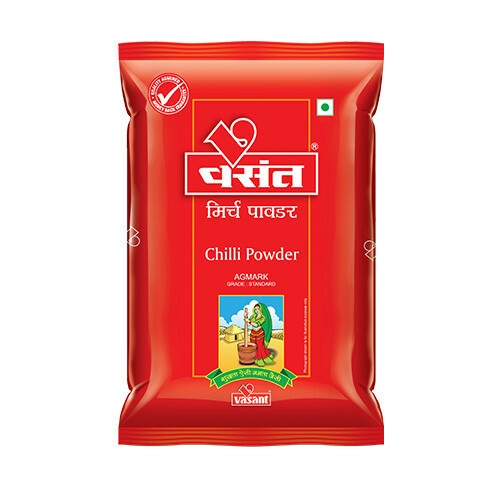 Health: A spoonful of turmeric powder taken with a glass of milk regularly ensures good health. © 2017 Vasant Masala. All Rights Reserved.